The Kershaw Zero Tolerance knife model 0350 is 10 percent smaller than the 0300 knife. This folding knife is assisted opening which is activated by using either the thumbstud or the flipper on the back of the handle. 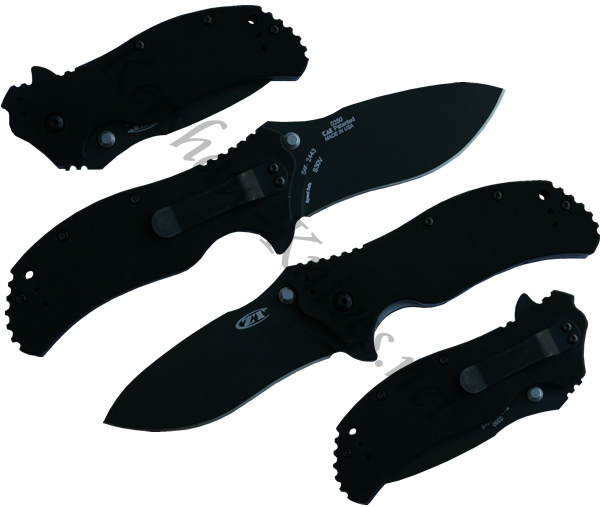 The blade is made of S30V steel and is coated in tungsten dlc. The handle is textured G-10 for good grip even in wet conditions. The pocket clip can be mounted on four places on the handle, giving you the option of carrying the knife tip up, tip down, left, or right.